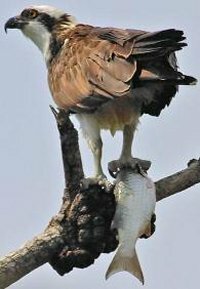 Birds of Prey in Central Florida! Last week guests really enjoyed going to this wonderful facility in Maitland, just two streets away from Thurston House bed & breakfast. Sometimes we think our yard is a birds of prey center as we often see owls and osprey flying around! Founded in 1979 in Maitland, FL, the Audubon Center for Birds of Prey has treated over 12,000 injured or orphaned birds of prey (raptors), releasing more than 40% of these former patients back into the wild. The Center handles the largest volume of eagles, owls, falcons, hawks, and kites east of the Mississippi River–averaging more than 650 admissions, or injured or orphaned birds of prey, each year—and is a leader among all North American rehabilitation centers for specialized eagle care. The Center also provides environmental education programming to over 20,000 local students, teachers, and visitors annually, while promoting a culture of conservation towards birds of prey and their habitats. A nationally renowned research institute, the Center is an influential voice in the ongoing fight to save endangered and threatened birds of prey.